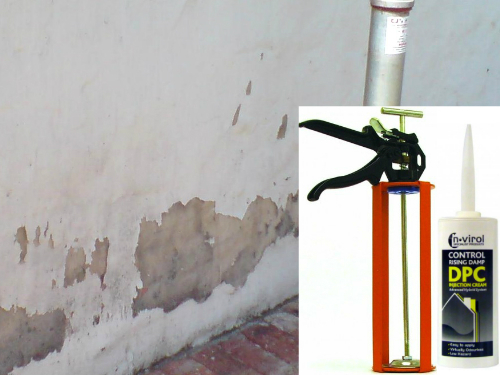 World Class Damp proofing product that lasts long and is easy to apply. 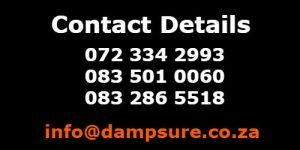 Dampsure has proven over and over that it sells some of the best damp proofing products in South Africa. Dampsure has not had a single comeback on its products or recipes. Dampsure 10 year solution against rising damp utilizes all of these products. It has been applied so successfully outdoors that moisture meter readings 6 months after application are within European indoor specifications. You are welcome to contact any of our stores for more information and or free training. Stop rising damp by utilising a silicone cream. This is a damp proofing product that stops future rising damp in its tracks. This DPC silicone cream is injected into the walls at 75 to 100mm intervals and DPC Cream will provide a chemical barrier that will stop future rising damp. DPC Cream was developed and engineered by German scientist to last more than 10 years, utilising this damp proofing product will provide you with a long lasting damp solution. 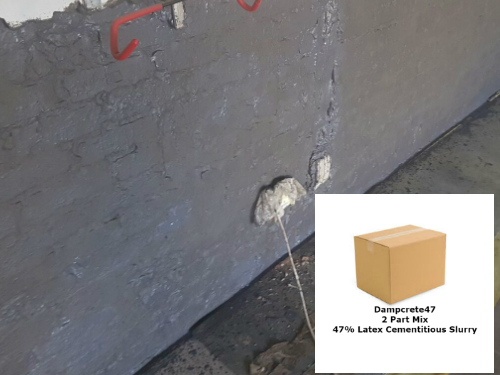 Dampcrete47 is a superior damp proofing and waterproofing product that prevent moisture penetrating into plaster, slabs or bricks. This product contains 47% undiluted latex and is used in Europe to waterproof water reservoirs as well as effluent tanks. This damp proofing product is superior in tanking of walls, fish ponds, damp proofing, waterproofing of slabs and balconies, waterproofing of showers. This product is like super glue and gloves are required for application. The treatment of brittle or deteriorating surfaces is one of the key secrets to provide a long-lasting damp solution, application of the best damp and waterproofing product will fail when applied to a brittle surface. 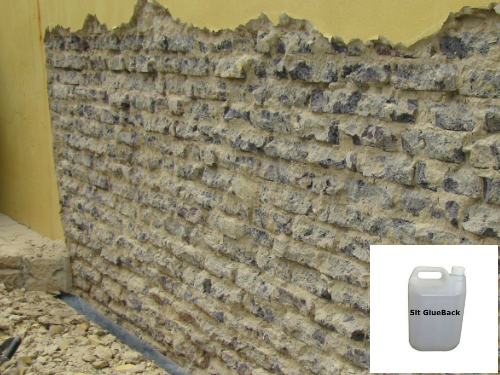 GlueBack has been developed specifically to assist in deep penetrating the subsurface as to enable you to waterproof or damp proof this surface, the re-glued surface will provide a longer lasting damp solution. A plaster additive damp proofing product that strengthen and reinforce the plaster. 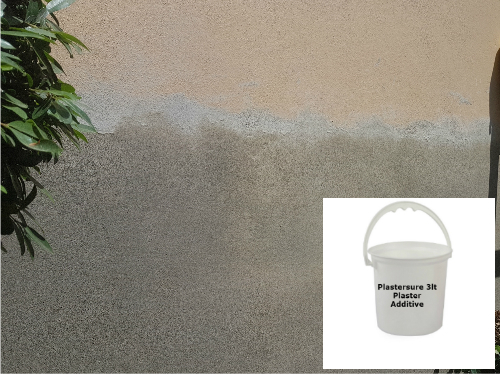 Plastersure inhibits the leaching of chemicals from plaster, mortar and bricks by moisture. Plastersure provides long lasting aesthetically pleasing plaster finishes. Plastersure can be used on internal and external house walls as well as on boundary or any external wall. 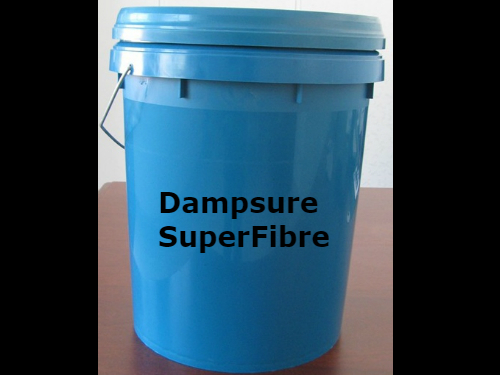 Dampsure is a roof waterproofing supplier and supplies a product that can last in the Africa sun for more than 3 years. SuperFibre is an Acrylic waterproofing product used on Zink Roofs, wall tops, windowsills and for fixing plaster cracks. Product is supplied in 5 and 20 lt Drums. 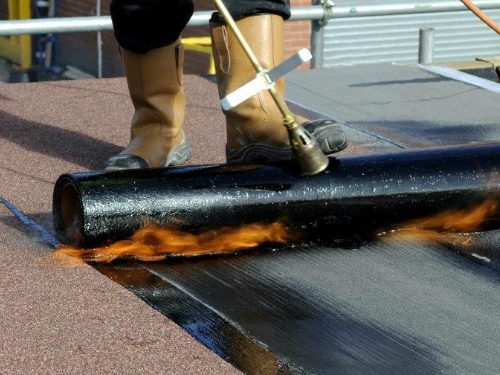 Dampsure is a supplier of 4mm Bitumen Torchon for flat roof and balcony waterproofing. Dampsure also supplies the primer required for preparing the roof for Torching and also the Aluminium paint to protect the Torchon.